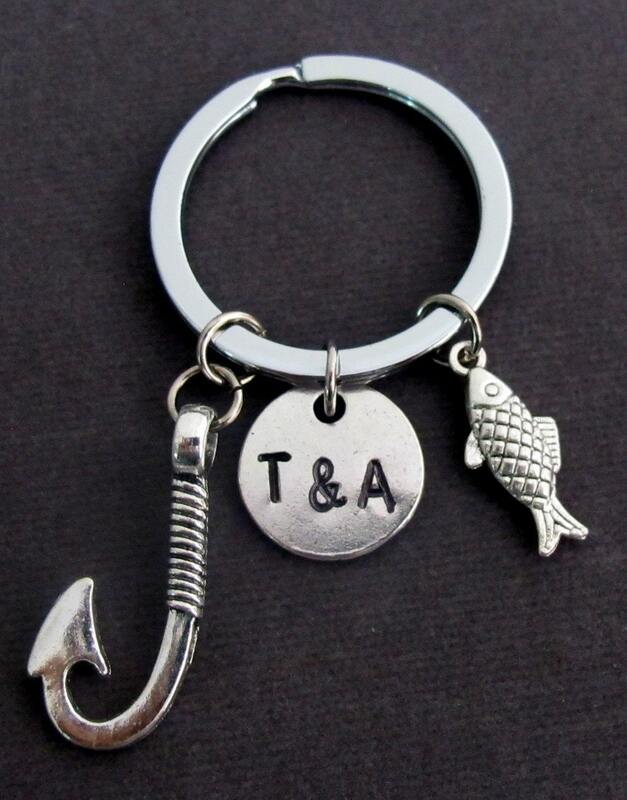 Great Couples Keychain with Two Initials with a Cute Fish Charm and a Marvelous Fish Hook. A Perfect Gift for your Other Half, Boy Friend and Anniversary Gift. This Personalized Fish Hook Key Chain Says it all : "I am hooked on You"! got this as a christmas gift for my husband, and he loved it. he has it on his keys ! very well made! Came just in time for Christmas and was perfect! Thank you.